What do you do when you have a financial emergency and you need instant money? What if an app could provide you access to quick money without any trouble? That’s what a quick loan app does. The young professionals are failing to qualify for a loan with the traditional banks, this where the quick loan app can be a savior. You could be eligible for a loan by uploading a couple of documents and the money will be in your account. Quick loans are also known are personal loans. 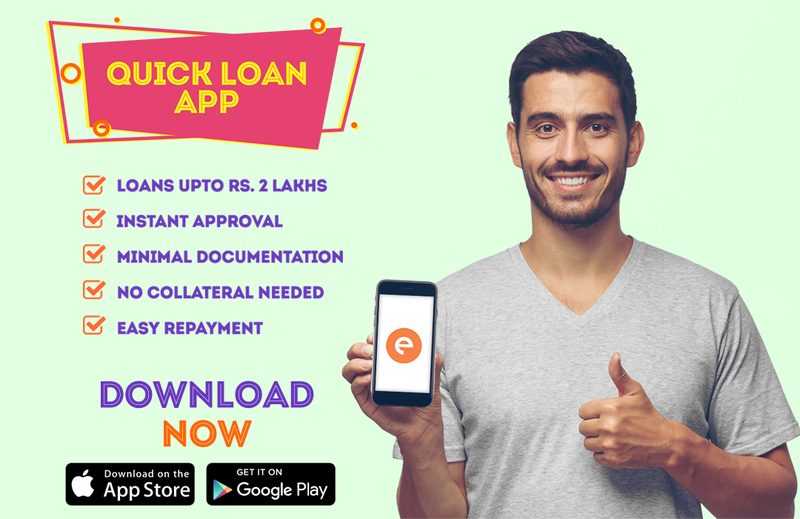 What is quick loan app? A quick loan app is where you could get instant financing for all your needs. Right from paying the EMIs to paying the flight tickets for your vacation, these personal loan apps will cover you for all your financial requirements. The loan amount starts from ₹ 5,000 and goes up to ₹ 2 lakhs. The duration of the loan can vary from 3 months to 12 months, depending on you. • You can apply for the personal loan online. You don’t have to visit any physical branch for the loan process. • The list of the required documents is itemized on the personal loan apps, you can upload them on the website itself. • You can enter the loan amount as per your necessity. • Depending on your loan amount and your capability, you can select the duration of the loan. • You don’t have to state any assets owned by you. • You can also compare the interest rates. Usually, the interest rates are quite competitive. • Once your loan is approved, the money will be transferred to your personal savings account. • On the due date, you can repay the loan either by bank transfer or by depositing a cheque. • The application process of quick loan app is fast and speedy. It won’t take you more than 20 mins to apply for the loan. • The process is quite easy as you will find the list of required documents on the loan app itself. • If the documents are in line with the app requirement, you could get the loan on the same day itself. • You can apply for the personal loan from any part of the world, all you need is the internet connection. • As mentioned the application process is quite simple. You will have to download the personal loan app from the play store/App store on your smartphone. • Upload the documents mentioned on the app from your smartphone itself. • Enter the required loan amount. • The app takes a couple of minutes or hours to approve or disapprove your loan request. • Once approved, the amount will be credited in your mentioned savings account. Cashe is one of the quick loan apps available in India for short-term personal loans. The app is quite a user-friendly with guided steps for the application process. Based on your needs you can apply for loans ranging from ₹ 10,000 to ₹ 2 lakhs. You can even check your loan status on their app.